Established in 2003, By Malene Birger is a sleek Scandinavian brand with a vintage aesthetic, known for its bold designs and use of colour and print. The label includes cool super desirable accessories, luxurious knitwear designs and exciting eveningwear. 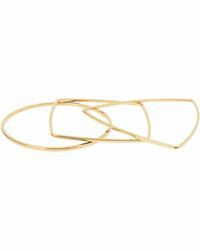 The line of bracelets from the brand includes numerous unique looks, from gold-plated finger bracelets and gold toned cuffs through to statement boldly embellished leather bracelets. 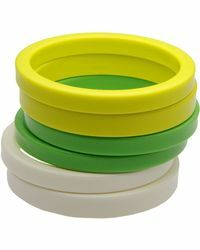 There are ultra modern neon bangles, unique wood bracelets and Perspex cuffs, as well as several multi bracelet sets. This is a great range for anyone who is looking for chic bracelets that have a unique design edge.